The Operating Room (OR) is a social and hierarchically complex environment. This team of professionals is responsible for working interdependently under immense amounts of pressure, and conflicts easily upset team cohesion, reduce team effectiveness, and potentially lead to adverse patient outcomes. An average of four conflicts arise per surgical procedure, attributing to the 98,000 avoidable deaths from medical mistakes annually. While hospitals have tried developing teamwork training curriculum to reduce medical error, there are no models for high-risk industries that emulate a similar social structure. De Waal and Laura Jones, PhD, postdoctoral fellow at Emory, using primatological methods, aimed to lay the groundwork for the design of a future reconciliation protocol in the OR to the ultimate benefit of the patients. Gossip, exclusion, threats, and unjustified criticism of work are some of the many reasons such conflicts arise. These distractions are detrimental to the well-being of patients as well as the cohesion and unity of the team. While the natural resolution would seem to be negotiation, this usually only occurs when one party submits to the other, as is often the case amongst senior clinicians in the OR. Many healthcare researchers sought to replicate a team-building approach from aviation, another high-risk organization. This was attempted in 2011 to no avail – ICU leaders function far differently than a team of pilots. The model was not suited to accommodate the power structures based on role, rank, gender, age, and race/ethnicity. The group needed stronger teambuilding, and this pilot project was the first step. The project proposed a systematic observational approach borrowed from studies on non-human primates and field anthropology. 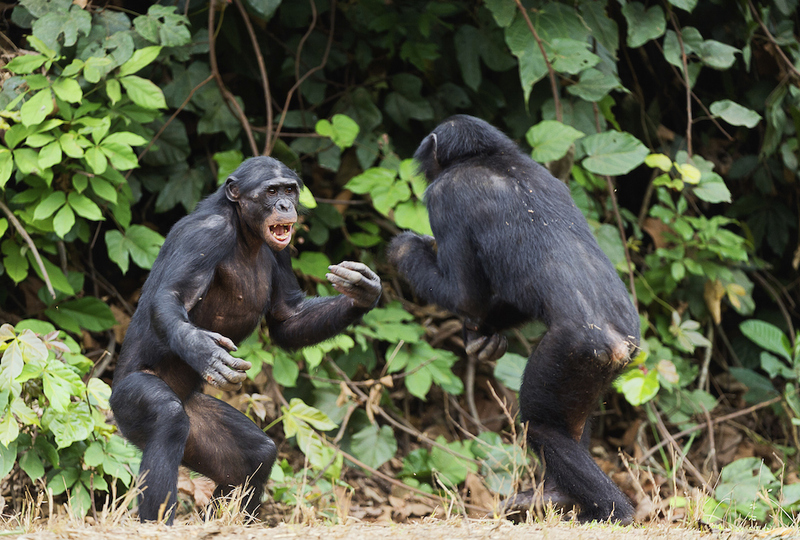 Conflicts in the OR between physicians are similar to those between non-human primates, and this investigation addressed how conflict typically arises and with what characters. Understanding OR social behaviors is essential to challenging the social behaviors that commonly initiate conflict. They sought to remedy a major, recurring problem in the OR – namely, inter-professional conflict. It was hypothesized that the most powerful team members, e.g. the surgeons, are the most common initiators of conflict in the OR, and that these members are rarely challenged about this behavior. The problem with current measures of reducing conflict is that the protocol focuses on suppression of the human behaviors that create conflict rather than efforts to channel and mitigate these behaviors. Because the environment is a sort of living organism, an understanding of the origin and function of conflict is necessary to successfully reduce workplace conflict, minimize emotional abuse, and optimize patient safety in the OR. These conflicts are similar to those of non-human primates, often involving status contests between males in front of females. After preliminary research involving the observation of surgical procedures at Emory University Hospital and Emory University Hospital Midtown, de Waal and Jones developed a primatology-inspired ethogram, a catalog that quantified the reliably observable social behaviors in the OR. After documenting interpersonal interactions of OR team members, they partnered with environmental psychologists from the Georgia Institute of Technology (Georgia Tech) to investigate the environmental factors correlated with these interactions. Craig Zimring, PhD, an environmental psychologist at Georgia Tech, observed how this environment correlates with conflict. These data were collected at Emory University Hospital, Emory University Hospital Midtown, and Grady Hospital.